The LSI-9135 Wrap Labeling System is integrated with laser coders or thermal overprinters. The unit is capable of applying labels on standard and tapered round containers at speeds up to 60 containers per minute. It utilizes a vacuum wrap belt and a dual wiping mechanism for securely applying the labels around the products. 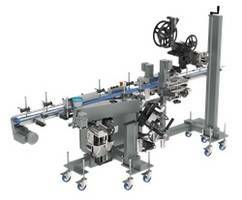 This labeler allows incorporation of the second labeling station for labeling into the recessed lid of the package. 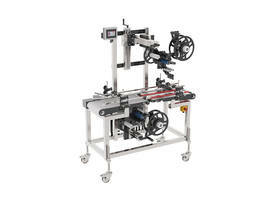 FORT WORTH, TEXAS (PRWEB) SEPTEMBER 20, 2018 - ID Technology, a ProMach product brand, will premiere the LSI-9135 wrap labeling system at this year’s Pack Expo at McCormick Place in Chicago October 14-17, 2018. Like other products in the 9000 Series, the LSI-9135 improves the simple efficiency of the LSI-9130 and applies labels to difficult-to-handle tapered containers. The LSI-9135 joins ID Technology’s 9000 Series and becomes a standard offering in a space where model customization was previously required for tapered container application. The result provides customers with a more cost-effective labeling machine and quicker delivery without sacrificing quality. 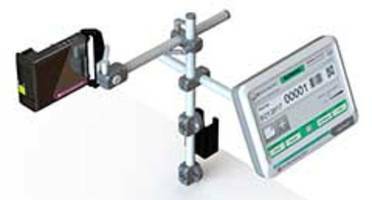 Being built on the 9000 Series platform, the LSI-9135 is well-engineered and designed for simple installation, maintenance and ease-of-use. Due to tapered containers gradually narrowing in circumference on one end, labeling a container’s side can become problematic and cause normal labels to skew or wrinkle when applied. ID Technology’s inline bottle wrap labeling system, however, is able to quickly and easily label the most difficult-to-handle tapered containers. At a similar rate of labeling efficiency, it can accurately apply labels on standard and tapered round containers at speeds up to 60 containers per minute. This is accomplished by using a unique vacuum wrap belt which gently applies the labels around the products, while a dual wiping mechanism ensures the labels are firmly secured. Within the same system, a second labeling station can be incorporated to apply a label into the recessed lid of the package. This eliminates the need for a second labeling application area. In addition, the LSI-9135 system incorporates ID Technology’s M-Series high-speed labeler for flexibility and dependability, allowing it to fit any production environment and handle most label sizes. Like other 9000 Series labeling systems, the LSI-9135 can also be integrated with laser coders or thermal transfer overprinters to add variable information. 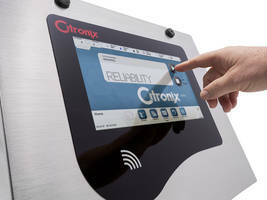 See this machine, as well as the latest in labeling, coding and marking technology at Pack Expo, booth S-3530. Customers around North America depend on ID Technology to design, build and install the most effective product, case and pallet identification systems for their product lines. While being a leading manufacturer and integrator of labeling, coding and marking equipment, ID Technology also operates multiple regional label converting facilities across North America that can produce quality labels and tags quickly and efficiently in run volumes of any size. As part of the ProMach Labeling & Coding business line, ID Technology helps our packaging customers protect and grow the reputation and trust of their consumers. ProMach is performance, and the proof is in every package. Learn more about ID Technology at http://www.IDTechnology.com.